Matchmaker: Joining Hearts is rated 3.5 out of 5 by 13. Rated 5 out of 5 by bbutz from Match Maker : Joining Hearts I love the game, but I am having some trouble with turning on the lights in the club. Rated 5 out of 5 by qpqt from Excellent Game This one has it all: great graphics and sound, quick recharge button, nice story line, quite lengthy. This game has 10 chapters, each consisting of 5 parts. 1. You meet the person who wants to be fixed up by playing a hidden object game relevant to that person's life. 2. You meet 3 prospective dates by again playing a hidden object game for each of them. Then you compare lists of interests to see which person matches the best. 3. You compare a scene from the person looking for a date to a scene from the person who has been selected to find similarities in the scenes. 4. You construct a gift that the person selected will present to his or her date. 5. You put the finishing touches on the first date venue by placing certain objects in their correct places. Some hidden object games are lists, others are marching the silhouettes. It is a very relaxing game (except for the mechanic's shop which I found to be very challenging!). If you like hidden objects games but don't like bouncing back and forth from scene to scene and back again, I think you'll like this one. Rated 5 out of 5 by jil1 from Funny and light HOG I loved it. Very light , funny and sweet game. The mini games are different from the others and I played this game several times and intend to play again. I´m expecting the next Matchmaker to continue joining hearts... as the game ends with "to be continued". It would be very soon. I´ll buy either. I recommend this game if you want to play a nice game with a happy story. Rated 4 out of 5 by Vkann from Matchmaker joining hearts A nice relaxing game. Can not have enough of these types of games. Did have some trouble with the Hidden objects scenes, but just used a hint when needed. Would love a second game here. It ended with to be continued. Need more games that are relaxing like this one and the one below. Rated 4 out of 5 by katkarman from Nice@@ This was a nice game , and it reminds me of the game about the old lady who reconnected with her lost love and there was a part two to that game as well. I think I will be purchasing it soon. 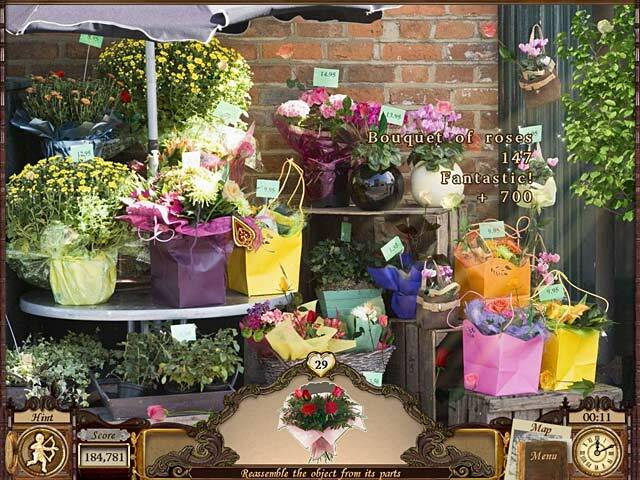 Rated 4 out of 5 by sereneorchid from Lovely game; not just for females A game with an actual story that's also interesting, and one that neatly connects the hidden object scenes and various puzzles. Enjoyed the voice-overs and the animations. Graphics are really nice, except in some places where they look cut out of an old magazine. The two different graphic styles are a little jarring, which is why the game lost a star. But the HO games are nice, as are the puzzles. And the premise of using the objects in someone's home or work environment to learn something about them, perhaps romantically, was very intriguing! It made for a good game. Guys, don't be afraid to give this a try, too. Rated 4 out of 5 by sandebeach from Just a Fun Little Hidden Object game to Play Sometimes you just want an uncomplicated, easy Hidden Object game to play, and this fills the bill. The story is set in a small town, where a friendly "older" adult tries to help her friends and the townfolk by acting as a matchmaker. The graphics are clear and bright. 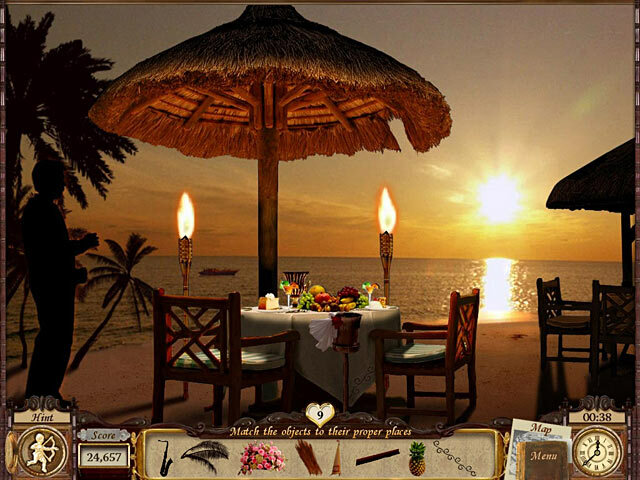 The game consists of several vignettes where she tries to find the right match for each person. 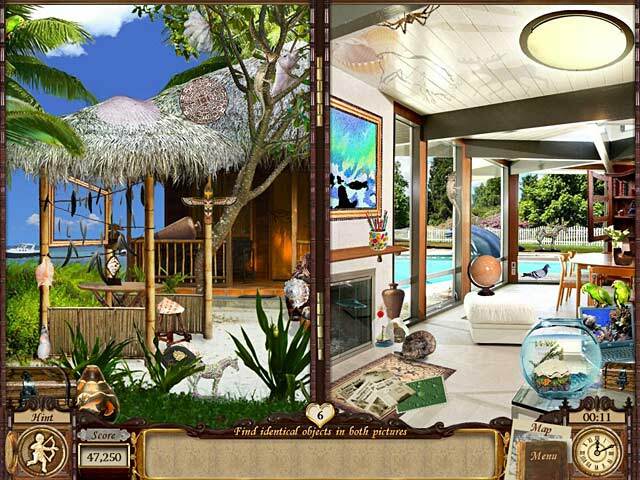 The Hidden Object scenes are fairly easy, and so are the mini-games. I have replayed this game several times, usually when the weather is gloomy and I need a bit of fun and bright cheerfulness to lift my spirits. If you are looking for something easy to play, with a happy theme, this may be just right for you. Rated 3 out of 5 by sandrah212 from Grandma's dreams come true! This is a peaceful, contemplative, easy hidden object game I can easily see older women enjoy. Your character's kids are married off, you move to a new town and play matchmaker between the people there. It didn't hold my interest at all and was way too cheesy for me (so no buy, not even as the Daily Deal), but if you just want a HOG to kick back with, without the bells and whistles, this might be it! You get the option of playing timed and untimed, by the way. Rated 3 out of 5 by bitterbox from Sweet story but terrible resolution This is a pretty straight forward HOG and I thought the storyline was gentle and sweet. Sometimes you find items from a list of words and other times you find shapes of the items. The graphics were my biggest complaint. Everything is pixelated and blocky which makes identifying some objects difficult. 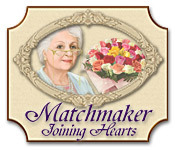 Help lonely hearts find a match and bring romance into their lives, in the exciting Hidden Object game Matchmaker: Joining Hearts!